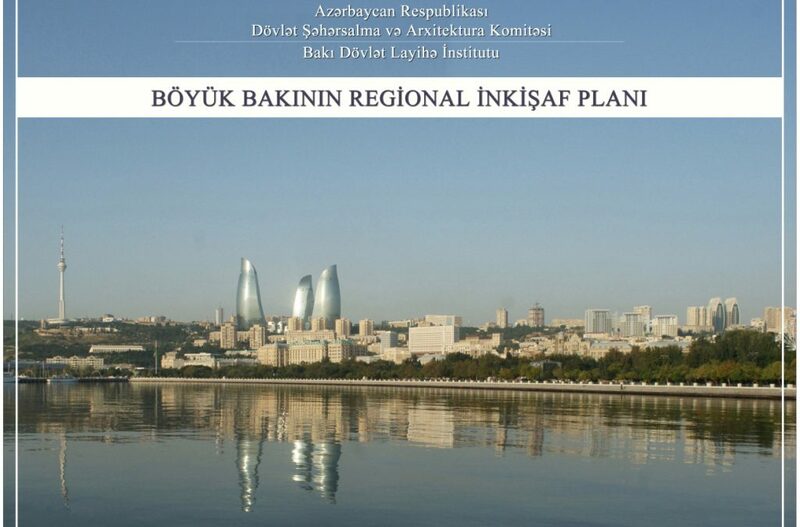 The Greater Baku Regional Development Plan (GBRDP) has been designed in accordance with the loan agreement (7460 AZ-National Water Supply and Sanitation Project, Component B1) signed between the World Bank and Azerbaijani Government in 2007 in compliance with the amendment made on the agreement regarding the appointment of the State Committee on Urban Planning and Architecture of the Republic of Azerbaijan as a state body responsible for this agreement. 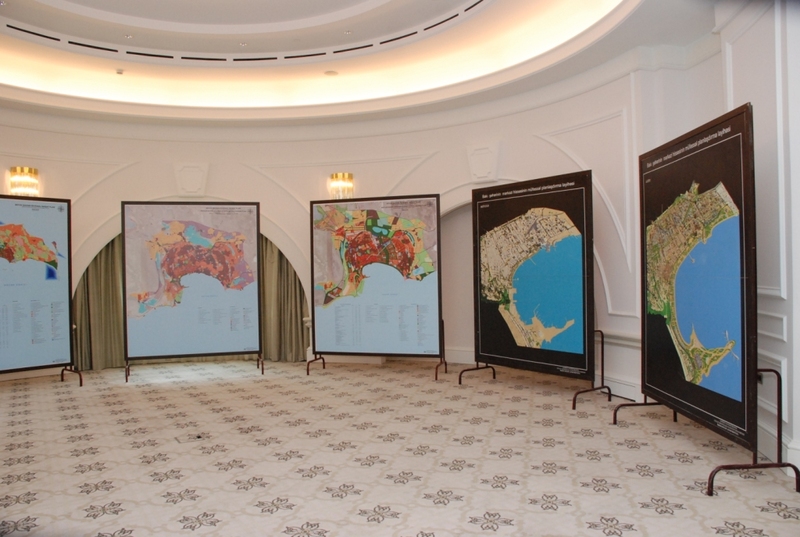 The Greater Baku Regional Development Plan has been designed at a scale of 1:25 000 and it is a planning document that covers an area of more than 282 thousand hectares which includes the administrative territories of Baku and Sumgait Cities, as well as a part of the Absheron District. Proper Baku Land use and Zoning Plan (Master Plan) which has been designed at a scale of 1:10 000 is the next stage of GBRDP. Master Plan including central part of Baku city covers over 33 thousand hectares of area. 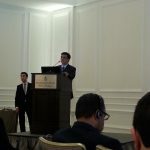 On May 15, organized by the State Committee on Urban Planning and Architecture at the “Four Seasons Hotel Baku” hotel “Greater Baku Regional Development Plan” project has been presented. 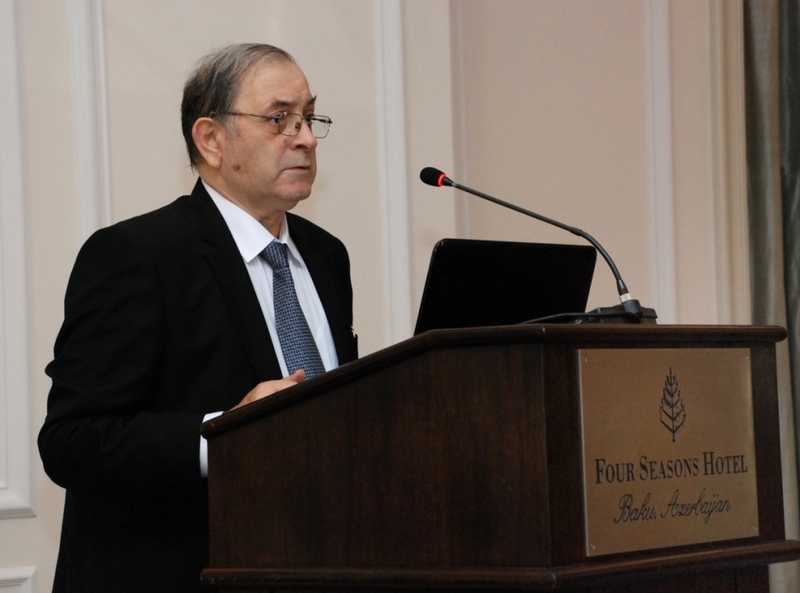 Abbas Alasgarov, Chairman of the State Committee for Urban Planning and Architecture opened the presentation by his introduction speech and stressed that the presented project is the first in the country’s history. Chairman of the Committee gave detailed information on the construction works carried out in the field of urban planning and architecture in the past 10 years with the initiatives and leadership of President Ilham Aliyev. 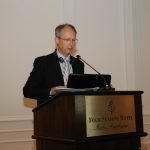 Architects and specialists in the event highly appreciated a professional and extensive development plan developed on the basis of modern scientific and advanced technologies. It was noted that during this period because of the increasing number of cars on the roads new highway roads were built in Absheron district, Salyan highway, Heydar Aliyev avenue, Boyukshor highway and other roads were expanded and landscaping works were carried out in these areas. 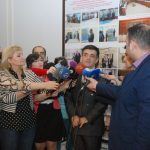 A number of industrial enterprises, which have a negative impact on the ecological situation of Baku, have been moved outside of the city center and this process will continue. It was noted that some serious work is being carried out on the development and improvement of the capital and restoration of our historical monuments. Problems with education and healthcare facilities are almost eliminated. All these works were initiated by the President of the Heydar Aliyev Foundation, MP, Goodwill Ambassador Mehriban Aliyeva. During the last 10 years 312 schools have been constructed or repaired within the framework of the project “New school for renewable Azerbaijan” of the Heydar Aliyev Foundation. Mr. Abbas emphasized that with the recommendation of the head of state, in the future, it is planned to restrict the construction of residential areas in the city center, to improve the landscaping, in particular greenery and to develop the necessary infrastructure of the city. Alasgarov noted that the Boulevard has been extended more than twice for the first time in 60 years, where beautiful landscaping work has been carried out in this area. The he added that on the initiative of the President Ilham Aliyev at the Fuzuli Street at the expense of the state budget one-kilometer-long Boulevard has been built. 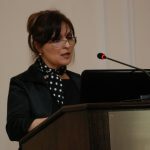 Later, the head of the World Bank office in Azerbaijan, Larisa Leshchenko, noted that the discussed document along with Baku city also focuses on regional development. She noted that in 8 districts of the country water supply, road construction and rural infrastructure development issues have been the focus of attention. 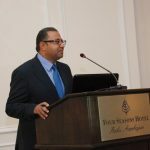 Representative of the World Bank’s Caucasus office, Ahmed Aveyda, spoke about the importance of the project to be implemented with the financial support of this international organization and expressed his confidence that it would make a great contribution to Azerbaijan’s economic development. 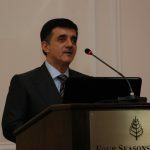 It was pointed out that in recent years Azerbaijan is developing rapidly and its result are in the center of attention. 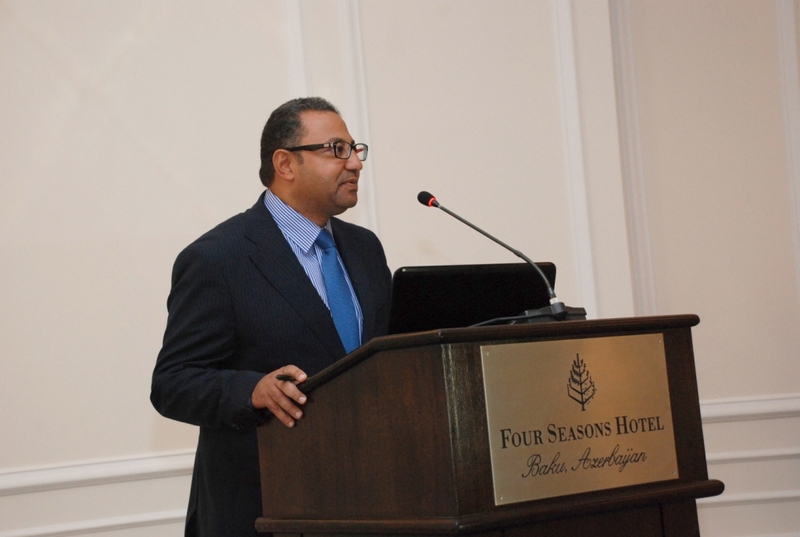 In his speech, Ahmed Aveyda also spoke about the use of advanced experience in the development of Master Plan. – “We have taken into account several factors here. The plan namely transport, social life, the demographic situation and other issues were taken into account. First of all, the plan was developed through multi-sectoral approaches- transportation, social life, demographic situation and other issues. 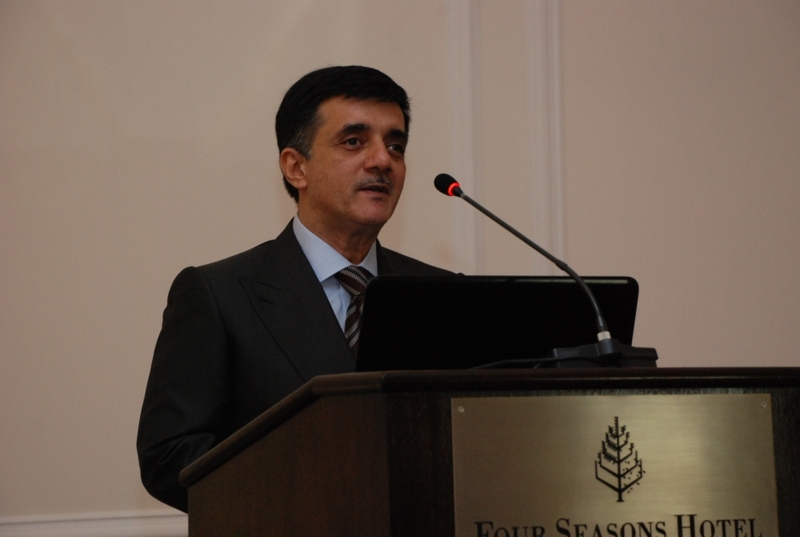 Factors that will lead to the economic development of Baku were taken into account. At the same time, several detailed development scenarios of the plan have been prepared” A. Aveyda said. 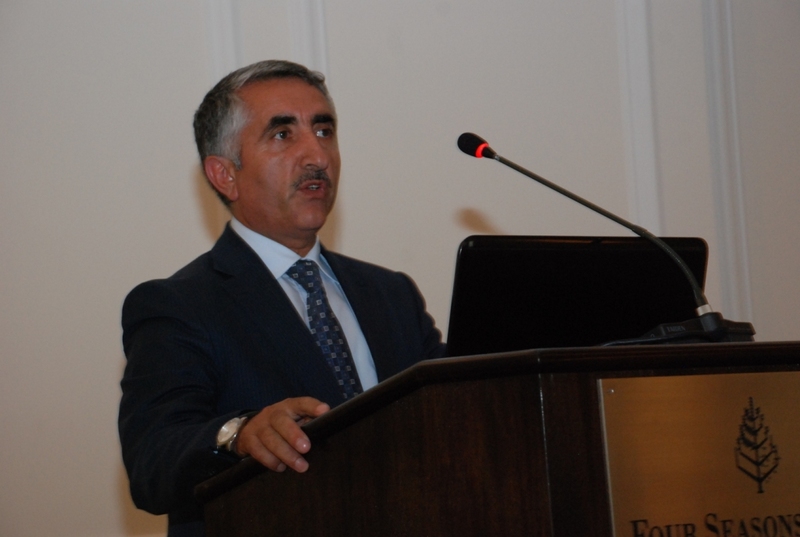 Then the Director of the Baku State Design Institute, Honored Architect Ilgar Isbatov began his speech and said that proposed conceptual scheme will serve to a high-level management of urban planning in Greater Baku area. 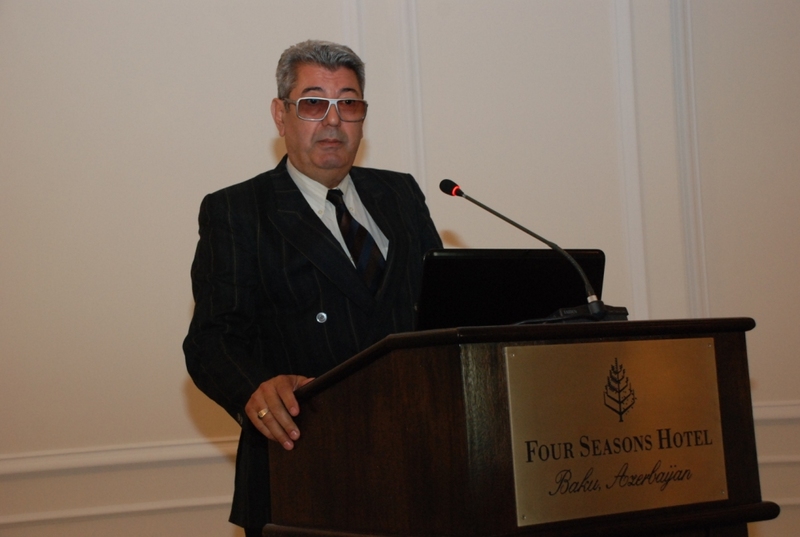 The he gave the detailed information about the history of Baku’s previous Master Plans and the current state of the Greater Baku region, main trends in the development of the city. 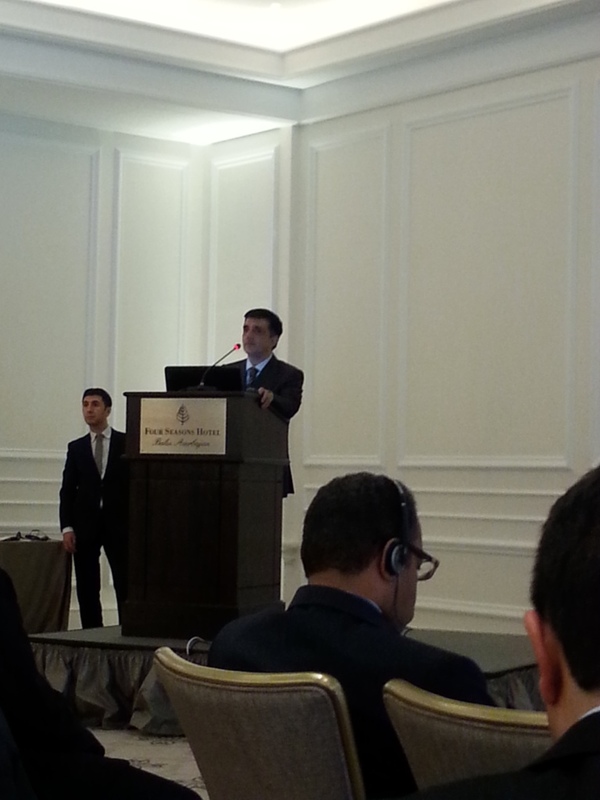 I.Isbatov emphasized that one of the main goals of the project is to turn Baku into an exemplary Megapolis. Thus, complex measures should be taken in this direction. 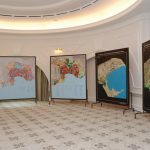 The central part of Baku which was historically formed should be preserved as well as the socioeconomic and ecological rehabilitation measures are envisaged. 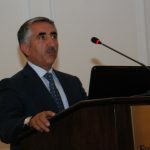 I. Isbatov also emphasized “Development and analysis of the current situation”, “Social priorities and principles”, “Transport and engineering communications infrastructure” on the development plan of Greater Baku, as well as the main directions of economic development. 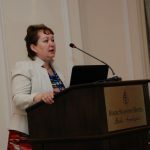 The Director of the Baku State Design Institute also spoke about the areas around the city which were envisaged for higher education institutions in the project. According to him, a separate concept should be created as part of higher education concept: “In our project, we have envisaged areas around the city for higher education institutions. Higher education institutions can be replaced in those areas in accordance with the concepts prepared by the responsible authorities”. 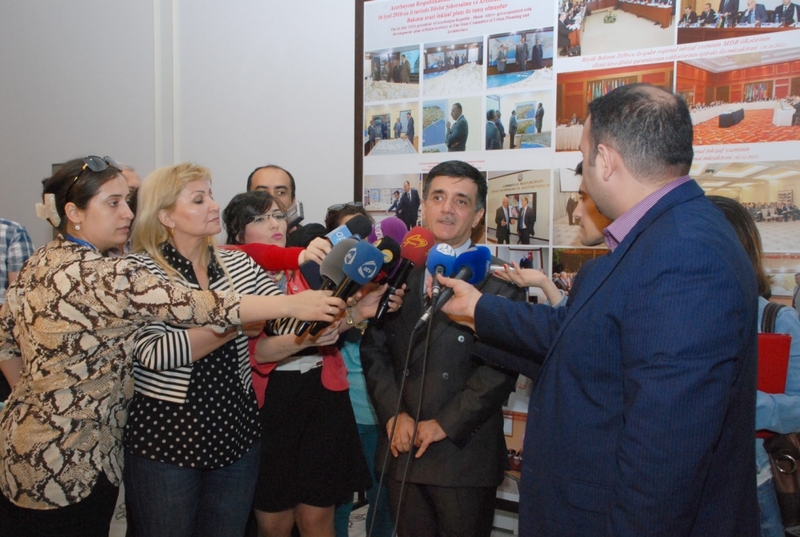 Ilgar Isbatov also noted that the Baku Metro CJSC and Institute is planning to construct a new metro station in Khirdalan. Construction works will be completed in “Avtovagzal” station and put into operation in the near future. Baku Metro CJSC and we suggest that the next station should be Khirdalan. This can be high-speed trains, there are some experience in the world, “Isbatov said. 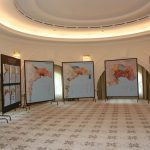 In general, it was reported that about $ 140 billion manat was required to implement the “Greater Baku Regional Development Plan”. These funds will be allocated to social needs, reducing the burden of the city, transport infrastructure, environmental and business and utility infrastructure projects. 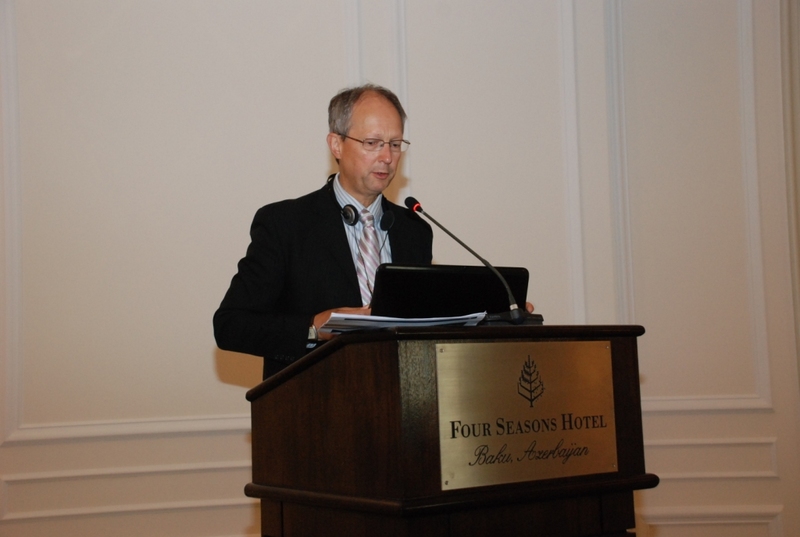 Then, Douglas Hickman, an expert from Eptisa (Spain), an international organization on Strategic Ecological Evaluation component began his speech. 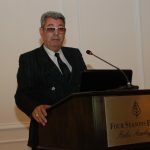 He expressed his gratitude to the Government of Azerbaijan and the World Bank for the support of the project and noted that they were based on international experience in environmental protection and environmental management during the preparation of the project. 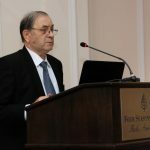 Afterwards, representatives of government agencies and public organizations were invited to present their views and suggestions on the presentations. 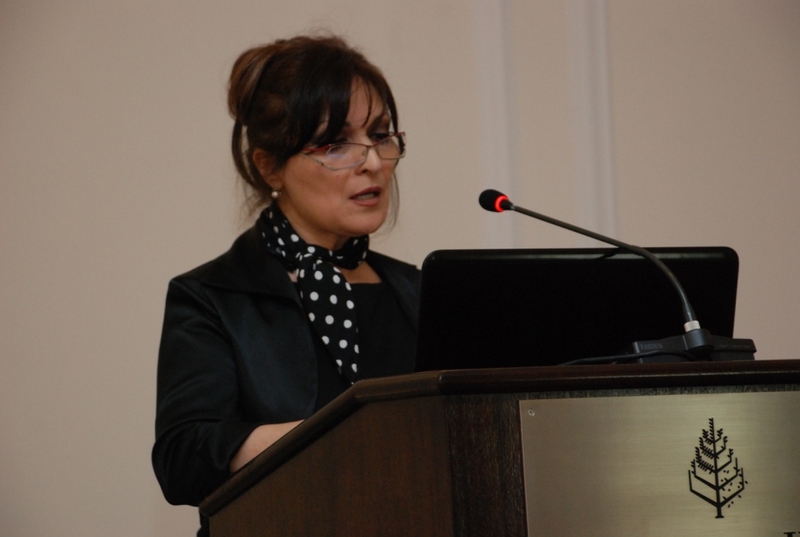 – “Chief architect and other representatives of Sumgayit City Executive Authority attend in the event. But why representatives of the Executive Power of Baku, the chief architect does not participate? I would make some changes about name of the project. For example, I would call the project as Absheron agglomeration. Because the project covers Baku, Sumgayit and Alat. 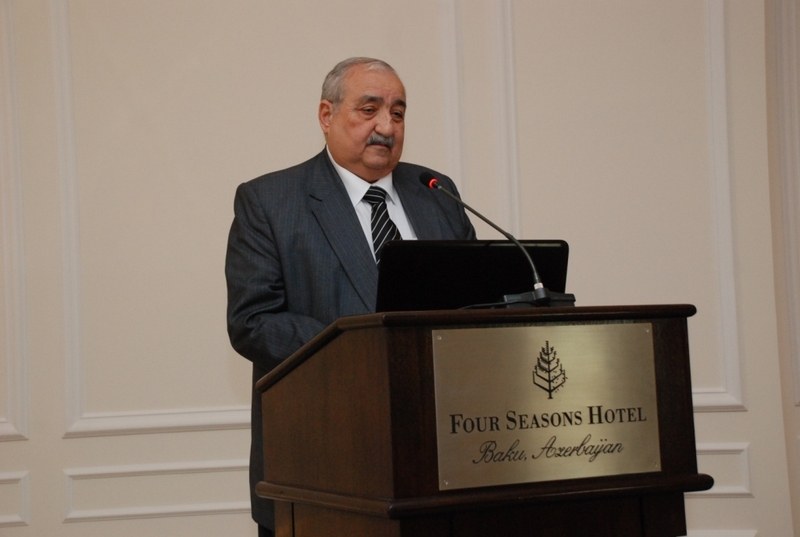 If there is a name of Greater Baku, why Baku City Executive Power representatives did not attend the event? This document is for them. They should form their future activities according to this document. This is a sad topic for me. 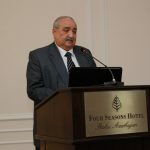 Maybe they would give more questions, maybe they will make their proposals, “said Gasimzade, adding that this excellent urban development document will play a great role in the future development of Azerbaijan and wished the majority of the projections to be implemented by 2030. Then Professor of Azerbaijan University of Architecture and Construction, Honored Architect Yegana Hajiyeva, Head of Architecture Department of Azerbaijan University of Architecture and Construction, doctor of architecture, Honored Architect Nizami Nagiyev, Head of Architecture and Construction Department of Absheron District Executive Authority, Honored Architect Akif Aliyev and Head of Sumgayit City Architecture and Urban Planning Department Hasan Hasanov shared their views on different sections of the Greater Baku Regional Development Plan. Other architects and professionals who attended the event highly appreciated the plan developed on the basis of modern science and advanced technology. 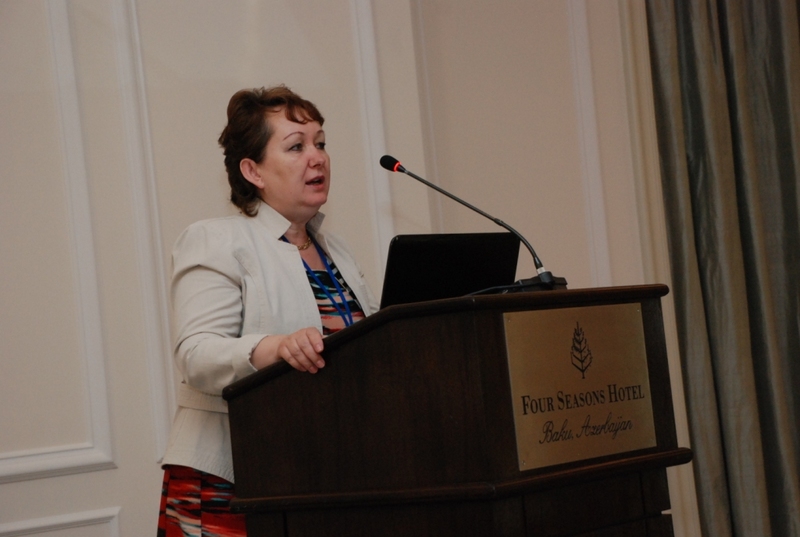 Then Director of the Baku State Design Institute Ilgar Isbatov answered numerous questions of participants. 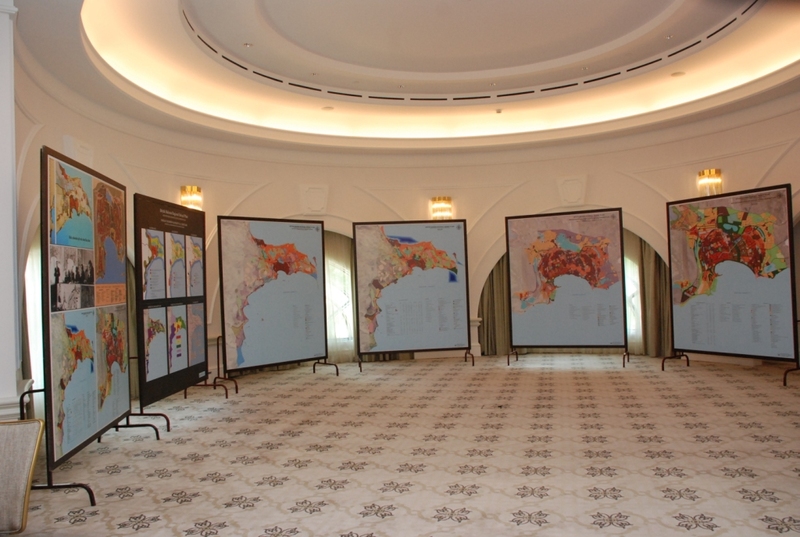 You can get detailed information on the “Greater Baku Regional Development Plan” from the e-book.